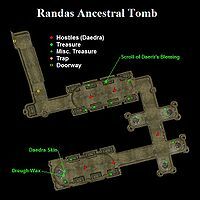 Randas Ancestral Tomb is a medium-sized, daedra-occupied tomb southwest of Bal Isra in the West Gash. 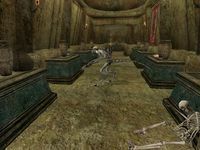 You'll find five daedra here. Loot consists of a scroll, some minor equipment (including a Velothian shield), a potion, a few ingredients, and a journeyman's probe. 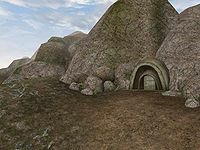 The tomb also appeared in Online. This page was last modified on 13 December 2018, at 23:08.